Returning from a visit to Knossos and some of the valley towns to the south, we see the remains of an aqueduct not far from the road. This one was built during the brief Egyptian rule of the island (1832-40) to provide water to Irakion. 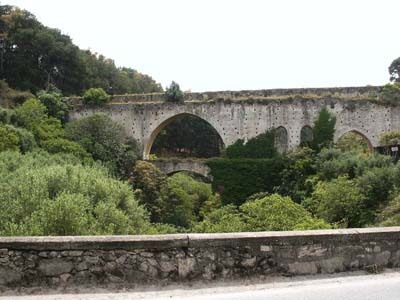 It is in the ancient Roman style, and along the same route as an earlier Roman aqueduct. This starts us thinking about why and how the Romans had constructed the water supply system in the first place. Later, after some preliminary research, we learn the old Roman aqueduct terminated somewhere around the ancient city of Lyttos, not far from Kastelli. 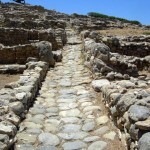 Lyttos was one of most powerful cities of the Greek (Doric) era, but it became too ambitious. 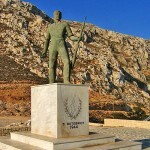 In a war for control of the entire island (221 – 219 BCE) its armies launched campaigns against several other cities. While they were away, Knossos attacked and destroyed the unguarded city, and sold all the townspeople into slavery. That was the end of Lyttos, until Rome took control of Crete in 68 BCE and decided to rebuild it as a Roman city. During that time Romans were great administrators and builders. Whenever they made a new conquest, the first priority was to “civilize” former enemies and bring them into the Roman Empire. According to Rome, a big part of civilization was infrastructure – the roads, bridges, water supply and sewer systems that made life comfortable for the populace. When people are content, they are less likely to revolt against their rulers. Water was an essential part of the civilization plan. People in ancient times (and even today in many countries) settled near a fresh water source whenever possible. If the water dried up for some reason, the town was abandoned and the populace went looking for another water supply. 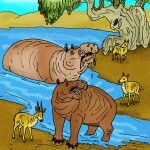 Drinking water is more important than any town, because without it there is no life. For this reason, Rome built water supply systems in many conquered lands. Looking at Crete’s parched coastline, one might assume the island has little water to support its population, let alone the millions of visitors who come here every year. On the contrary, the mountainous spine that runs the length of the island from east to west collects considerable snow during the winter months, and several rivers flow down from the high country. Only a few kilometers inland terraced fields, vineyards and orchards spread across the hillsides and reach up towards the mountains. There is plenty of water here. Getting that mountain water down to lowland farmers and coastal cities was a challenge familiar to Roman engineers. From a map we find the origin of the Lyttos aqueduct near Oropedio Nissimou mountain, a few kilometers south of Krasi, a highland farming town famous for its pure spring water (although its name – krasi – means “wine”). Following the aquaduct seems like a good adventure, so we decide to drive into the mountains. 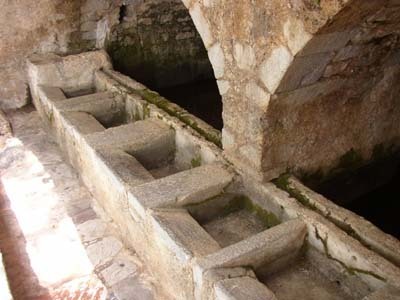 In Krasi we find several old public fountains and stone water collectors filled by springs, which also fed the Roman waterworks in ancient times. The Roman water channel here was nearly half a meter wide. The aqueduct continues westward beneath mountain plateaus rich with water. Near the town of Kastamonitsa the channel turns north towards Lyttos. In this area are some of the most visible remains, including part of the aqueduct wall, 10 meters high at some places. At ground level the wall is over 2 meter wide. 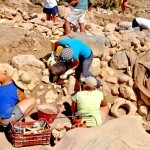 Unfortunately, after this section no visible remains have yet been identified until Lyttos. After driving to Kastelli, and stopping for a coffee frappe, we turn onto a winding country road towards Lyttos. It is a slow climb through olive groves and vineyards to the village of Xidos (pronounced Ksidhos), and then 2 kilometers to the turnoff for ancient Lyttos. We continue along a dirt path on a high plateau that presents a beautiful view to the Diktean Mountains. 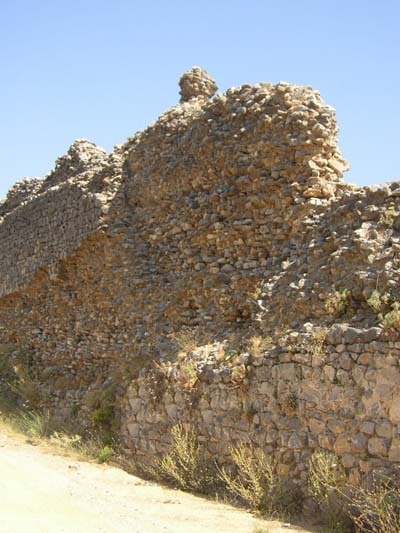 Aside from two old churches (Ti­mios Stavros and Ayios Georgios) built from the remains of Lyttos, there is not much of the ancient city to see (it has not yet been excavated by archaeologists). 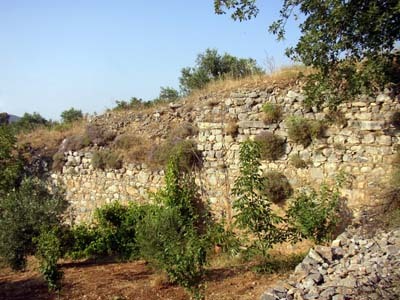 However, there are a scattered ruins and visible remnants of the aqueduct walls. 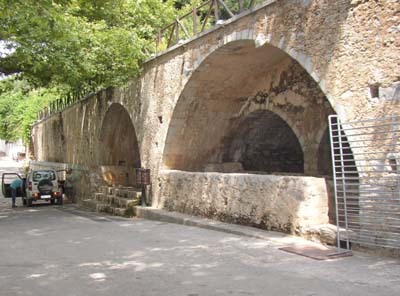 The aqueduct transported water over 22 kilometers from its mountain source to the users. Not a small accomplishment when considering 2000-year-old technology. There are many other Roman aqueducts in different countries, but this was one of the longest – and probably most expensive – ever built. On our return to Hersonisos, we detour along the Aposelemis gorge to the villages of Potamies and Avdou (see map). Here the Aposelemis River flows from melting snow in the Lasithi mountains. Along the northern part of the gorge, we pass a modern waterworks project. The government is building a large dam and reservoir system to capture the spring runoff and distribute water to the lowland regions through a huge tunnel and pipe network. 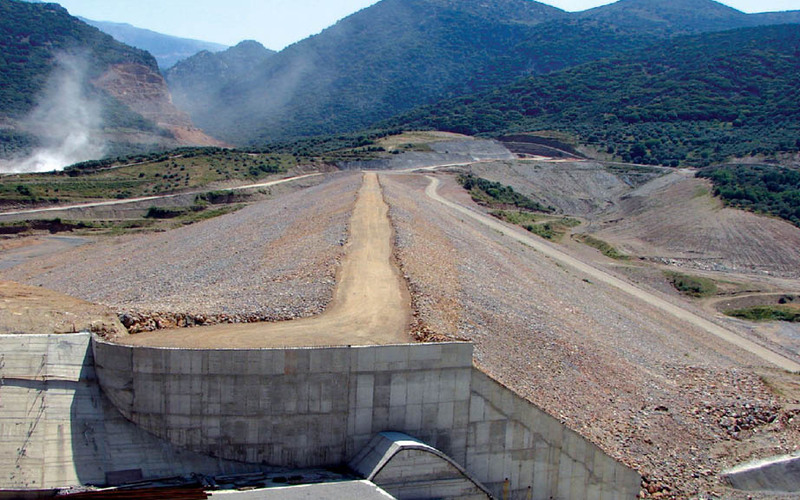 New dam on the Aposelemis River near Potamies village. Our need for water does not change over the centuries, but the engineering solutions are constantly evolving. Special Thanks to Wilke Schram and Cees Passchier for sharing photos from their website Roman Aqueducts. 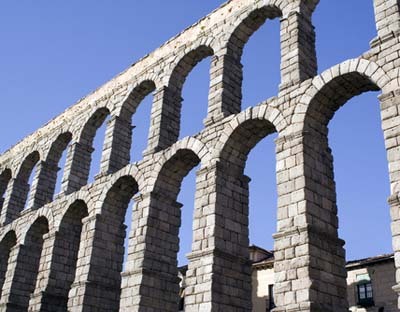 To learn more about Roman Aqueducts and how they are constructed, we recommend the NOVA web site on this subject. It actually allows you to build your own aqueduct. 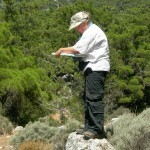 I’m traveling to Crete in a couple of days, and will looking for remains of the Roman aqueducts. The one serving Lyttos seems interesting – I’ll give it a visit. Thanks for your article!